Zephyrhills is a quiet town in a strategic location with a skilled, available workforce. But when Zephyrhillians aren't working, they're having fun. Like many Southerners, and transplanted Southerners, Zephyrhills residents love barbecue. 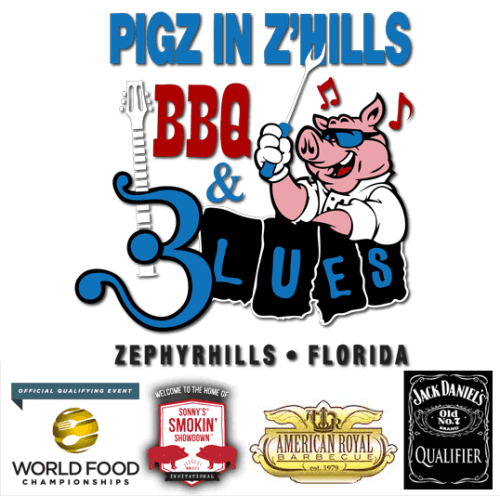 In October 2010, about 3,000 people showed up at Zephyrhills' Krusen Field for the first Pigz in Z'Hills BBQ & Blues Fest, hosted by the Zephyrhills Chamber of Commerce. Fast forward 8 years, the barbecue competition is now sanctioned by the Florida Bar-B-Que Association; it is located at the Zephyrhills Community Venue across from the Zephyrhills Municipal Airport; draws in crowds of over 12,000 people; and has become the City's signature community event! Visit out event page for more information. Although Zephyrhills is a small town with small-town charms - church bells ring through the air on Sunday mornings; people discuss the day's events at small hardware stores and family-run restaurants; and a traffic jam is five cars at a stop light - it is close enough to Tampa to offer broader cultural activities. 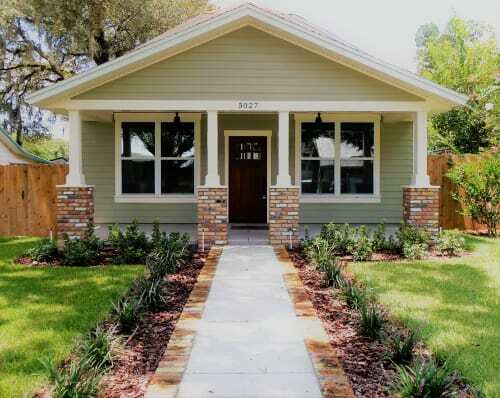 Throughout Zephyrhills, affordable housing abounds. Newer homes have been built on the northwest side of town, and new apartment complexes have been built nearby. Whatever their favored activities, Zephyrhills residents are kept safe by dedicated police and fire departments, while the Pasco County Sheriff's Office and Pasco Fire Rescue patrol areas just outside the city. Located on Gall Boulevard, just north of downtown, is Advent Health Zephyrhills. 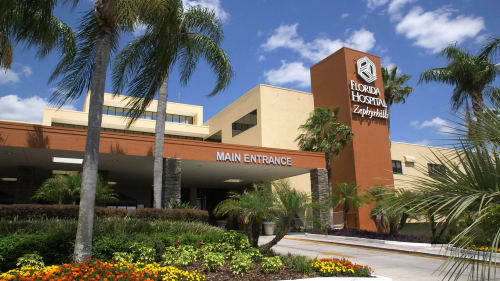 The hospital's Heart Institute is the only nationally accredited heart failure institute and chest pain center in East Pasco County. In 2011, the hospital added a Primary Stroke Center. Both the Heart Institute and Stroke Center have received excellent reviews from HealthGrades, which provides independent ratings to help consumers make decisions based on quality of care. 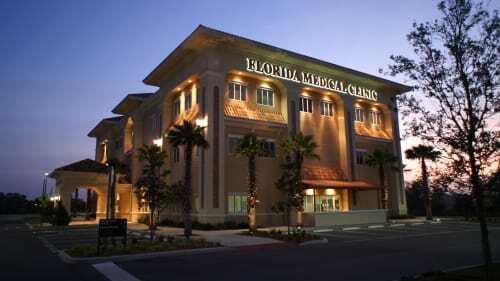 With locations on either side of Gall Boulevard, the Florida Medical Clinic boasts physicians specializing in 25 medical areas, including family medicine, cardiology, gynecology, neurology, psychiatry and orthopaedic surgery. In and around Zephyrhills, educational opportunities also abound. Zephyrhills High School has educated the town's youth since 1910 and has been in its current location on 12th Street since 1975. Companies interested in job training may consider several institutions in the area. Pasco-Hernando State College has two locations in Pasco County, including one in nearby Dade City and in Wesley Chapel; there also is a PHSC campus in Brooksville, just north in Hernando County. PHSC enrolls nearly 16,000 students and provides training for more than 40 careers in healthcare, computer engineering, law, business and human services. Established in 1889, Saint Leo University, a private institution on a picturesque campus, is about 20 minutes from Zephyrhills. Students can choose from more than 40 majors and specializations, plus graduate degrees in business administration, education, teaching, criminal justice and theology. The Center for Online Learning at Saint Leo helps meet the growing needs of many of the university's adult students. The sprawling University of South Florida, which serves more than 40,000 students and offers 228 degree programs, is about 40 minutes south of Zephyrhills, while the University of Tampa is under an hour from town. Other private and specialty colleges include Trinity College of Florida, Rasmussen College, Hillsborough Community College and St. Petersburg College. Less than an hour from Zephyrhills, sports fans can watch the NFL's Tampa Bay Buccaneers, the Tampa Storm of the Arena Football League, or the NHL's Tampa Bay Lightning. Just across the bay, Major League Baseball's Tampa Bay Rays play home games in St. Petersburg. Tampa's Tampa Bay Times Forum - the home arena of both the Lightning and Storm - is also a major concert venue, routinely hosting world-famous acts. The Forum also is hosting the 2012 Republican National Convention. Across town, the David A. Straz, Jr. Center for the Performing Arts (formerly known as the Tampa Bay Performing Arts Center) consistently hosts a plethora of stage productions, ballet competitions, comedy and musical acts, and even political commentators. In nearby Clearwater, the fabulous Ruth Eckerd Hall continuously hosts national and international acts throughout the year. Other cultural venues include Tampa's Museum of Fine Arts, and the Mahaffey Theater and Salvador Dali museum in St. Petersburg. Residents in the city and surrounding areas can enjoy nature trails, fitness centers, boating, fishing, tennis, sand volleyball and beach access. Just outside town is Skydive City, where colorful parachutes are frequently seen floating gently down from the clouds. 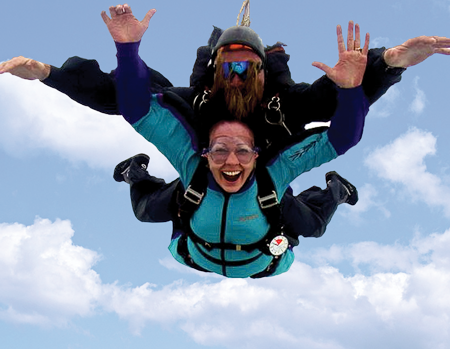 Skydive City is considered one of the premier skydiving centers in the world. City residents are just over an hour from Florida's pristine white beaches, but those who prefer to stay in town can enjoy Waterplay at Zephyr Park, a popular play area frequented by young families. There are several golf courses in and around Zephyrhills, including the 18-hole Zephyrhills Municipal Golf Course, which opened in 1978.